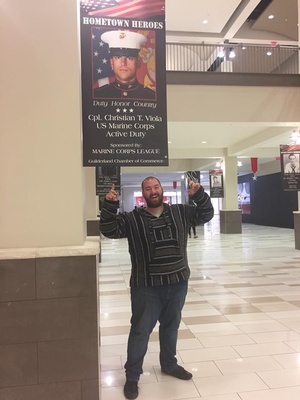 Hometown Hero Banners 2019 - Feb 20, 2019 ? 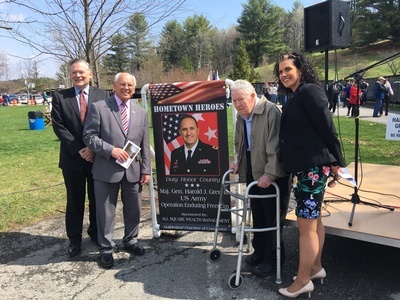 The Town of Guilderland and the Guilderland Chamber of Commerce, along with local Veteran's organizations, are proud to announce the 2nd Annual Hometown Heroes Banner Program that has gained local and national attention. 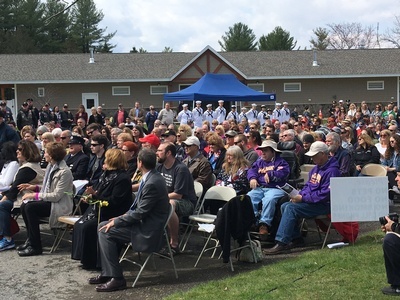 The program proudly recognizes active duty and veteran service members, both living and deceased. 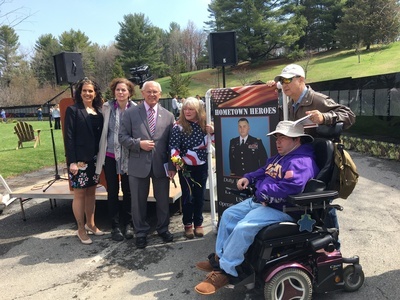 Each banner will honor a specific current or former Guilderland, Berne, Knox or Westerlo serviceperson and will include his or her name, branch of service, and photo. Banners will be placed at Tawasentha Park and various locations within the community, (28 total). Every request will be honored as placements are made available. 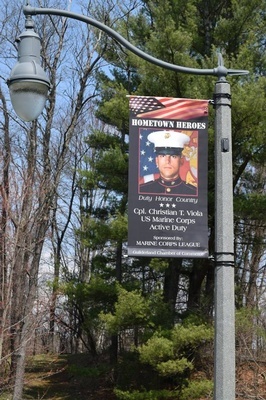 The Town of Guilderland will place and maintain the banners while they are on display. There will be an opening ceremony at Tawasentha Park in the spring. The banners will be on display from spring through fall and at the conclusion of the 2019 program, the banners will be removed and presented to the family or sponsor at a closing reception in November. Banners may be sponsored by individuals, families, businesses or organizations at a cost of $150 per banner. 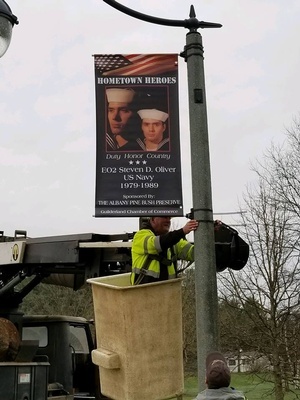 If you do not know a local serviceperson but would like to sponsor a banner, the Town and Chamber will pair you with an eligible honoree. 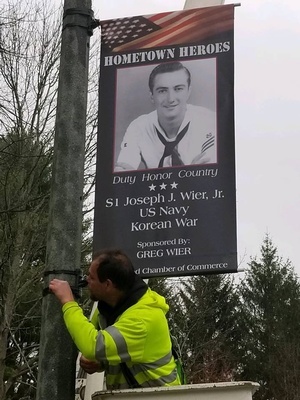 Please consider supporting the 2019 Hometown Heroes Banner Program. If you have any questions, please do not hesitate to contact Michelle Viola-Straight, Guilderland Chamber President at the Chamber (518) 456-6611 or by email at michelle@guilderlandchamber.com or Amy Boyt, Town of Guilderland at (518) 456-3150 or boyta@togny.org. Familes may purchase a banner for their loved one. Businesses are encouraged to Spronsor banners. Businesses Name will be promimentaly displayed on the Banners . 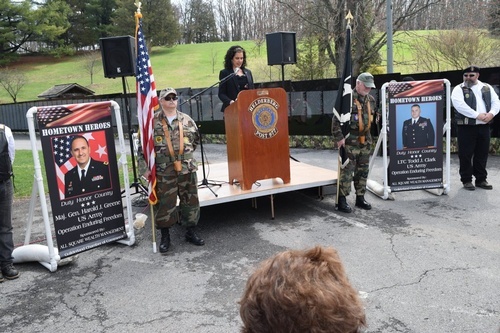 We then select a local veteran to receive the banner . Please register for your banner on line. Once we receive your request, we will then send over a banner packet for you to fill out.